Product Code: 87215079 Manufacturer Code: 22007-AS. 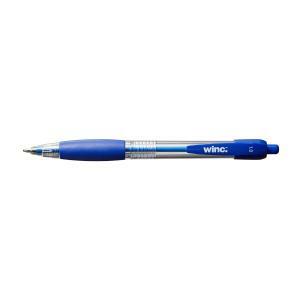 The Winc Retractable Ballpoint Pen - Blue - Medium 1.0mm provides a smooth writing experience and features a comfortable rubber grip for easy writing. Translucent barrel for visible ink supply and clips easily to pockets or pen holders.